Have you ever wondered what it would be like to scuba dive “Bubble Free”? Rebreathers reuse the gas you exhale by recycling the good part and replenishing it for your next breath. This means your gas supply is significantly larger in a compact package compared to what you can carry in a scuba cylinder for conventional open-circuit scuba diving. It’s a huge benefit that allows longer dives. Another benefit is the quiet factor. 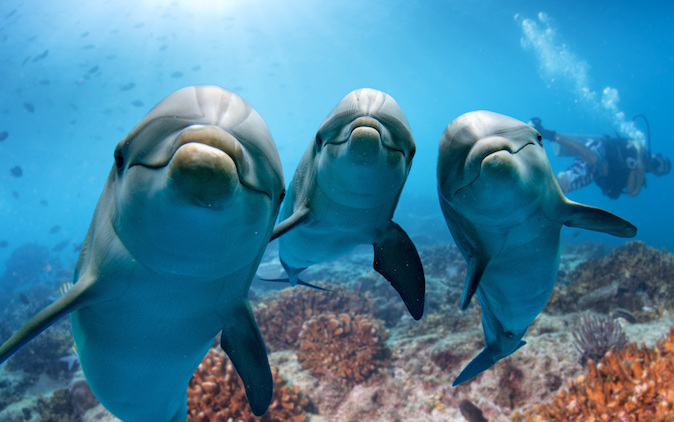 Underwater photographers really like it because they can approach aquatic creatures that would ordinarily shy away from bubble noise. Also, because you breathe gas that’s been warmed by you and the recycle process, rebreather diving keeps you warmer – a bonus in cool water. The PADI Rebreather and Advanced Rebreather Diver courses use what’s known as Type R units to introduce divers to rebreather diving within recreational dive limits. They are electronically controlled and provide a backup for all the major systems, which simplifies training and use. Closed-Circuit Rebreathers (CCRs) recycle all the gas you exhale; only a few bubbles escape during ascents to release expanding gas. CCRs require two gas supplies, a diluent (usually air) and 100 percent oxygen. Semi-closed rebreathers (SCRs) recycle some of the gas that you exhale. Bubbles escape in a stream or small bursts, but not many and not near your face. SCRs only need one gas supply – enriched air nitrox – typically EANx36 or higher. Counterlung – A bag that expands when you exhale and contracts when you inhale. Valves – Direct gas circulation in one direction through the breathing hose assembly, so your exhaled breath goes through a chemical scrubber that removes waste CO2. Mouthpiece – Closes and also connects to the bailout valve (BOV), which is an open-circuit second stage regulator hooked up to a cylinder with breathing gas for emergencies. Gas supply – Feeds into the gas flow loop to replenish the oxygen you consume, and to increase the counterlung volume as needed. Oxygen sensor – An electronic module that gas passes through after the chemical scrubber. Use pre-packed scrubber canisters – you don’t have to mix the chemicals. Will not operate or will warn you if the canister is missing. Provide electronic prompts for the predive check. Provide automatic set point control. Have warnings for low or closed gas supply, low battery life, high or low PO2, etc. Include a “black box” data recorder function in the electronics. 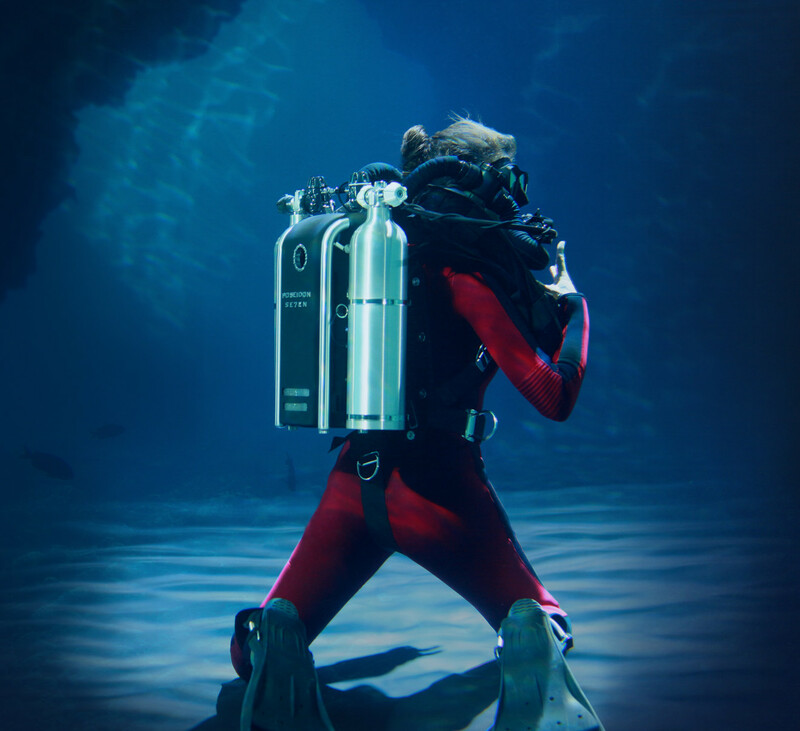 Have a display warning system in your line-of-sight during normal diving. If you would like to try these amazing units out then why not try our PADI Rebreather dive courses, simply select which one interests you from the following list, we look forward to hearing from you soon.